Discussion in 'Automobilista - Links & Resources' started by Fabio Oliveira Silva, Oct 30, 2016. I have not done the whole physics. First i used the orginall one, but they want to have more speed in the car. The only thing i have done is to edit the drag at the front and rear wing. One of the guys in RWB has revised the handling in this car along with a host of other settings and fixed the bug whereby the car clips into the track and launches vertically in the air. I've contacted MadLeecher via PM with a view to maybe integrating the changes into the car for release as the club has been using the car a lot recently with the changes and really really like it - it always was a great car if not for a few significant flaws. I've not heard anything back yet so thought I'd just post here in the hope someone hears me. I'd normally not release this for someone elses mod without their permission but it's not been for a lack of trying to get permission or help from URD to do it themselves and given this is a pay mod I think we've got the right to fix it ourselves and help others who've paid for it. Testing indicates it's almost identical in lap time to the real thing and it's back to driving like a formula car with a tin top which is pretty much what a DTM is these days. Unfortunately I'm very disappointed with this mod, since day one the physics are just weird and not good enough to enjoy the money I spend with a urd mod. I really was expecting a top notch mod, what it is in every aspect, expect for the physics that are very bad... Oh and cleaner showroom would be better too. URD have a history of releasing a mod, be it a single car or several, then never touch it again. It doesnt matter if its a paid mod pack, or a single free car. The free Vette C7 released on Racedepartment has its wing mirrors displaying the opposite sides to one another for heavens sake. Car is free, so you can excuse laziness, i suppose. 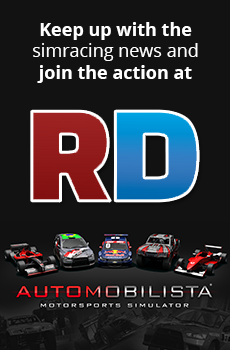 DTM paid mod has woefully incorrect downforce detail, yet goes untouched, and messages to them to fix it go ignored. Simple solution, ignore URD and dont buy their stuff. Its not like its must have mods anyway. I first tried urd in RF2 but was amazed how bad the FFB was. Wouldnt drive it even if it was free! Yeah these guys continue to release garbage and rip people off. They need to go out of business.